Labuan cabbies in a fix | Daily Express Online, Sabah, Malaysia. 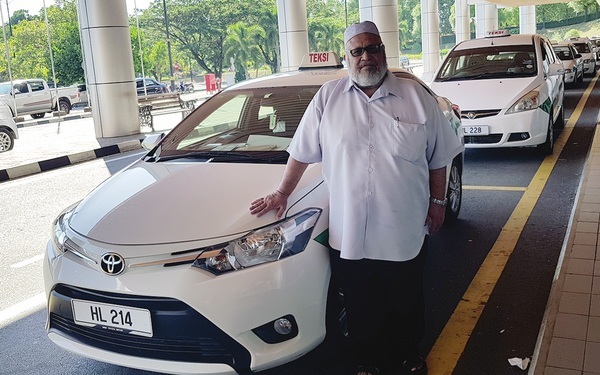 Labuan: Ride-hailing service (e-hailing) Grab Malaysia is "crushing" the taxi industry here, leaving many cab drivers drowning in debts, Labuan Taxi Association Chairman Ismail Abdul Rahman claimed. He said most of the taxi drivers who have been operating for more than 30 years are now in a quandary over the depletion of income and unable to settle car monthly instalments since Grab started operating in the duty-free-island almost two years now. "Labuan is a small island with nearly 200 taxis operating in downtown and airport, and with the existence of Grab here, it is like rubbing salt into the wound, as most of the time we cannot break even," he said Wednesday. Ismail said prior to the operation of Grab here, most of the white-green cab drivers were earning between RM100 and RM200 per day. "But with the more than 800 Grab operators operating islandwide, we could only earn RM40 to RM50 per day, sometimes back home with no income at all… taxi drivers are losing livelihood to Grab. Most of the people in Labuan have more than one car which made it difficult to us to make end meets. Now that with the Grab operators, with most of them having job with monthly income, this certainly makes thing worse," he said. Ismail said as the taxi rate here is only between RM15 and RM36 per ride, the association urged the Government to restrict Grab Malaysia's operations on the island. In June, Transport Minister Anthony Loke said the Government would not ban e-hailing (or e-taxi) services, despite calls from several quarters particularly taxi driver groups. He said the Government is committed to ensure there is a "level-playing field" for both sides, and that e-hailing services will be regulated.